The 14″ Tulip is a petite shade that reminds us that Spring is around the corner. Purple tulips with fresh green leaves dance over the surface of the shade. 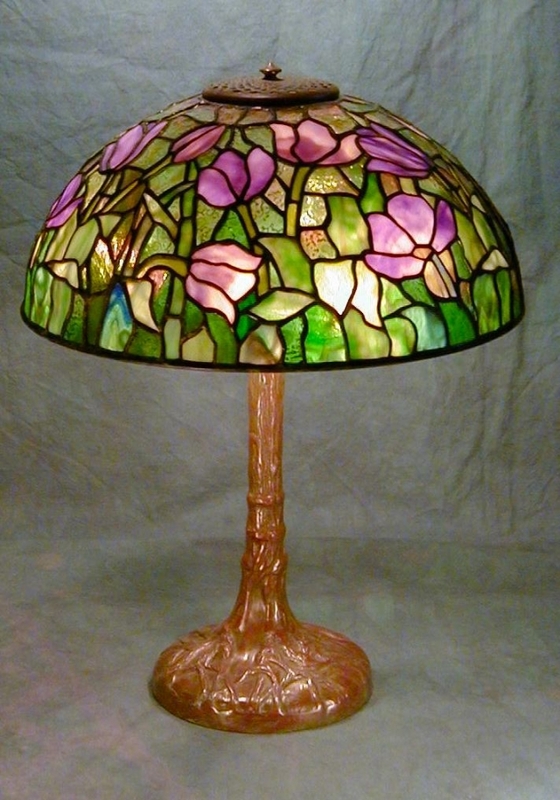 The background glass for this shade was a delicate peach and green mix with a lightly textured surface made by the Lins Glass Foundry in the 1990’s. Shown on the Pony Tree Trunk base, this lamp was commissioned by a local client in 2002.